226 in stock Need More ? Editedby Rosemary GrayHere is a book no Christmas stocking should be without, a book that positively distils the spirit of the season. 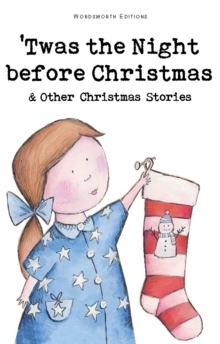 The title poem, familiar to children and adults the world over, introduces a collection of stories and verse with a Christmas theme, guaranteed to engage and amuse readers young and old. Likely to provoke laughter and sometimes to bring a sentimental tear to the driest eye, this festive treasure trove is ideal for reading aloud or curling up with in a comfy corner. Scrooge himself would have found it difficult to resist distributing copies on Christmas morning!